Patrick Clancy, who helped start a folk revival as a founding member of the Clancy Brothers and Tommy Makem, died on Nov. 11 at his home in Carrick-on-Suir, County Tipperary, Ireland. He was 76. The cause was cancer, said Bill Haller, his son-in-law. As the eldest of the Clancy Brothers, Clancy toured the world singing Irish songs, often with thousands of audience members singing along. 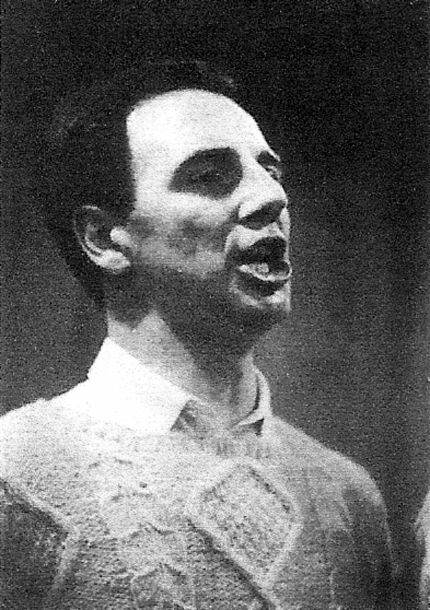 Although the Clancy Brothers got started as Irish expatriates in New York, where they were part of the Greenwich Village folk revival of the 1950s and '60s, the group's rowdy, good-humored performances created an enduring image of Irish tradition and spurred a rediscovery of folk styles back home in Ireland. Clancy also started a folk-music label, Tradition, that documented Appalachian music, blues, Celtic and ethnic music. Clancy was born in Carrick, in rural Tipperary, where he and his brothers soaked up traditional music. During World War II he went to England to join the Royal Air Force, and worked as an airplane mechanic in England and India. After the war he and his brother Tom, who had sung pop music in Ireland, came to the United States. They worked at a brewery in Newark, N.J., and sold insurance in Cleveland before moving to New York. In postwar bohemian Greenwich Village, they acted in and produced off-Broadway plays, including Sean O'Casey's "Plough and Stars" at the Cherry Lane Theater. Joining the scene around the White Horse Tavern, they became friendly with such authors as Dylan Thomas, Delmore Schwartz and James Baldwin, and musicians such as Woody Guthrie. In the early 1950s, Patrick Clancy assembled Irish music for Folkways Records and the early Elektra label. He started his own label, Tradition, in 1956. His brother Liam arrived in the United States that year, collecting Appalachian songs and also settling in New York. The three brothers began singing Irish songs at parties and quickly developing a local following. They were joined by another Irish expatriate, Tommy Makem, and started recording for Tradition in 1959. They traveled the folk-club circuit and performed at the Newport folk festivals. A 1961 appearance on "The Ed Sullivan Show" brought them a national following. In concert, they wore Arran wool sweaters and sang rollicking versions of rebel songs, drinking songs and love songs — among them "The Jug of Punch" and "Carrickfergus" — interspersed with tall tales and poetry recitations. Columbia Records signed the group in 1961, and it eventually made about 40 albums. Patrick Clancy returned to live in Carrick in 1964, and bought a dairy farm. But he continued to perform frequently with his brothers. After 1969, the group's lineup fluctuated, sometimes including a fourth Clancy brother, Robert, and later a nephew, Robbie O'Connell. Patrick Clancy gave his last performance in July in Carrick. He is survived by his wife, Mary; his brothers Liam and Robert; two sisters, Peg and Joan; five children, Leish, of Philadelphia; Rory, of Carrick; Orla of the Netherlands; Maura, of Carlow, Ireland, and Conor, of Dublin, and three grandchildren. The folk singer Paddy Clancy, whose music was central to his life, was buried to the sound of music in his home county of Tipperary yesterday. As his remains left the packed St Nicholas's Parish Church in Carrick-on-Suir, a rousing chorus of The Jug of Punch led by his son, Conor, accompanied him on his way to the tiny village of Faugheen. Earlier in the Requiem Mass, during the offertory procession, his trademark white cap, similar to the one in which he has been buried, the Aran sweater, a stick that he had been fashioning into a "snake catcher" and a harmonica were brought to the altar. "Paddy lifted the hearts of people through his gift of music", said the parish priest, Father Paul Waldron. Carrick-on-Suir came to a halt as gardaí, saluting the passing coffin, stopped traffic on a busy market day to allow the funeral through on its way to Faugheen. The cortége, accompanied by the drifting strains of a sole harmonica, was met by another throng of people in the cemetery. Bobby Clancy played the harmonica as the coffin was lowered into the grave. After further tributes, the singing resumed as Paddy's son, Conor, brothers Liam and Bobby, and nephew Finbarr were joined by Tommy Makem, Finbarr Furey, Ronnie Drew, John Sheehan and the whole congregation in a rousing rendition of Will Ye Go, Lassie, Go? Liam Clancy then announced: "We never ended a concert yet without The Parting Glass", and the crowd sang again. The Taoiseach, who sent a message of sympathy, was represented by his aide-de-camp, Capt Michael Kiernan. Paddy Clancy is survived by his wife, Mary, sons Rory and Conor, daughters Leish, Maura and Orla, brothers Liam and Bobby, and sisters Joan and Peg. This is the second bereavement in the Clancy family recently as Paddy's sister, Lelia, was buried last week. DUBLIN, Ireland (AP) — Paddy Clancy, who sang with the Clancy Brothers and Tommy Makem, the influential Irish folk group of the 1950s and 1960s, has died at age 76. Paddy Clancy died Nov. 11 after a long illness at his home in the County Waterford town of Carrick-on-Suir in southeast Ireland, according to death notices in Irish newspapers. It was in New York in 1959 at the beginning of the folk music boom that the Clancy brothers and their friend Makem formed their group. They performed in Greenwich Village clubs and appeared at Newport folk festivals with such people as Judy Collins and Pete Seeger. 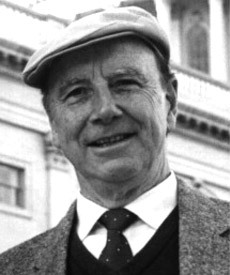 Brother Bobby Clancy also occasionally sang with the group, which was considered a major influence on the current folk music revival in Ireland. They made more than 50 records. 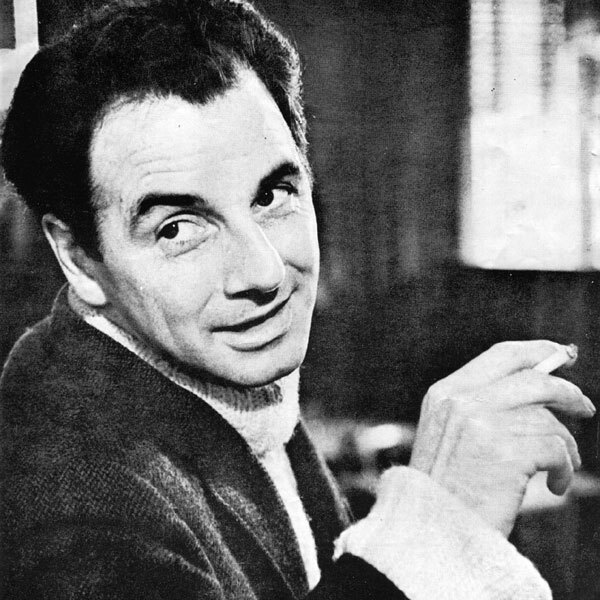 After touring for about nine years as The Clancy Brothers and Tommy Makem, Paddy struck out on his own, and had been on his own since. But they remained friends, and they got together again in 1993 for the Madison Square Garden concert honoring Bob Dylan's 30 years in music. Tommy Clancy died in 1990, but Liam, Paddy and Bobby and their nephew Robbie O'Connell continued to sing into the 1990s. Paddy Clancy, who sang with the Clancy Brothers and Tommy Makem, the influential Irish folk group of the 1950s and 1960s, died Nov. 11 at his home in Carrick-on-Suir, Ireland, following a long illness. He was 76. The Clancy brothers and Makem formed their group in New York in 1959 at the beginning of the folk music boom. They performed in Greenwich Village clubs and appeared at Newport folk festivals with such people as Judy Collins and Pete Seeger. The group, which made more than 50 records, was considered a major influence on the current folk music revival in Ireland. 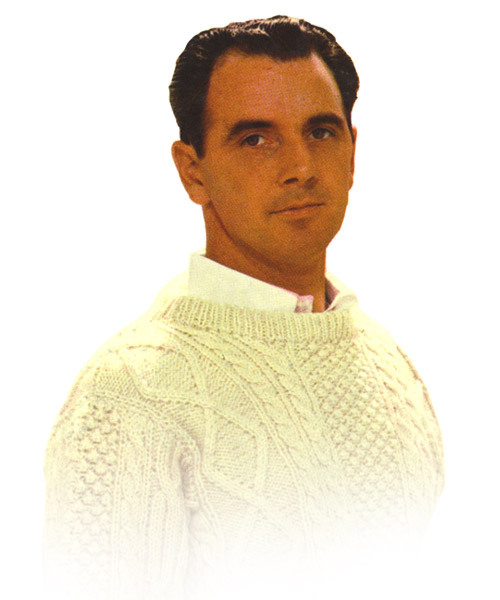 After touring for about nine years with the Clancy Brothers and Makem, Paddy struck out on his own. In 1993 the group reunited for the Madison Square Garden concert honoring Bob Dylan's 30 years in music. IN THE DYING embers of 1998, the passing of Paddy Clancy of The Clancy Brothers in November at age 76 haunts me like a sad and lingering song. His death is a personal milestone, because he helped save my life some 30 summers ago. I was a wild kid caught up in the madness of 1967 on the streets of Brooklyn, when drugs were claiming more neighborhood guys than the war in Vietnam. My oldest brother worried I'd never see 1968. He then frequented a now sadly defunct saloon called The Lion's Head in Greenwich Village, where often at night The Clancy Brothers would sit around the big oak table in the rear and sing traditional Irish songs. My brother told Paddy he was worried about me. "Send him over to me and I'll put some weight on him," Paddy said. A week later, waiting at Shannon Airport for this 145-pound, long-haired Brooklyn hippie kid was Paddy Clancy. We were soon whizzing through the checkerboard farmland of Ireland, heading for Tipperary. I had no idea what to say to this "old" Irish guy with the flat tweed cap who sang songs my mother and father loved. "What kind of music do you like?" Paddy asked. "Ach, Bobby's a grand fella, all right," he said. "We taught him a song or two … "
"You actually know Bob Dylan?" I said. "Sure," he said. "We record for the same label. Played with him at Gerdes Folk City in the Village, and at the folk festivals. He loves Irish ballads." And of course, from that moment on, so did I. We arrived at Paddy's sprawling farm in Carrick on Suir, where on my very first day I was led into the dairy house to learn how to milk the cattle. I followed Paddy's ranch foreman, Gus, into the pit below the penned cows which were having suction cups attached to their swollen udders. "First thing you learn is never turn your back on a cow, because you won't see her raise her tail to let loose," Gus said. I turned and said, "Loose of what?" The cow behind me answered with a green splat. I stood frozen, a Brooklyn kid down and dirty on the farm, covered from head to toe in steaming dung. "You're a farmer now, boy-o," Paddy said from above me, lighting his pipe, his uproarious laugh one of the great echoes in my life. In the afternoons, I toiled in the fields with rugged local men, harvesting barley and baling hay the hardest work I've ever done. Then it was time for lunch fresh fish yanked from the stream that ran through the farm, potatoes and vegetables plucked from Mary's garden. The cows were milked again in the afternoon, and later, as Mary prepared dinner, Paddy would take me walking through the golden fields of early evening, telling me stories about his life, flying with the RAF in WII, searching for emeralds in the Amazon, selling insurance in Cleveland, and he'd pick wild mushrooms and blackberries as he dispensed sage advice about girls, self-discipline, business, loyalty, survival and life. "Have fun," he'd say. "When the work's done." SOMETIMES an old friend would drop by to drink whisky and tea around the crackling kitchen fire. One was named Frank McCourt, and no one told funnier stories. A lot of them later wound up in a book called "Angela's Ashes." At night, Paddy's brothers Tom or Bobby or Liam would pop around sometimes all of them and a guitar would come out, then a harmonica and a tin whistle, and the night would ignite with music and song and stories and laughter. When I went home at the end of August, I was a clear-headed 175 pounds, rippling with a farm boy's muscle. I made it to 1968 and beyond due in no small measure to the generosity of Paddy Clancy, who took time in his marvelous and full life to care about some wayward skinny kid from Brooklyn. FOLLOWING THE death of Paddy Clancy, only one of the original members of the Irish folk group the Clancy Brothers, Liam, remains to carry on the tradition of table-thumping Irish ballad groups which they originated 40 years ago. However, the Clancy name continues, with Liam supported by the next generation, Pat, the third generation, Bobby, and Liam and Paddy's nephew Robbie O'Connell. It was Liam Clancy who formed the Clancy Brothers, in 1959 in New York, after he met Tommy Makem, when both of them were working as actors in an off-Broadway production of the play Shadow and Substance, by Paul Vincent Carroll. The owner of the Fifth Peg bar in Greenwich Village approached Clancy and Makem with the idea of singing a few Irish songs as a nightly warm- up act. He offered them three times what the theatre was paying them, and after a week as support, they were promoted to headline status. Shortly after that, Liam's other two brothers, Paddy and Tom, joined for a gig at Alan Ribback's Gate of Horn club in Chicago, and the Clancy Brothers and Tommy Makem were born. They'd been wracking their brains to come up with a suitable name, but since they couldn't agree to anything suitable, the billboard outside the club just said that. Their impact on the nascent New York folk scene was considerable. Bob Dylan took the melody of their outlaw ballad "Brennan on the Moor" for his song "Ramblin' Gamblin' Willie". Thirty years later they were to repay the compliment, when they sang Dylan's "When The Ship Comes In" at his 30th anniversary concert at Madison Square Garden, in October 1992. Paddy Clancy was born in the little Tipperary village of Carrick-on-Suir in 1922, the eldest of 11 children. With Liam and his other brother, Tom, he arrived in the United States in the early Fifties. 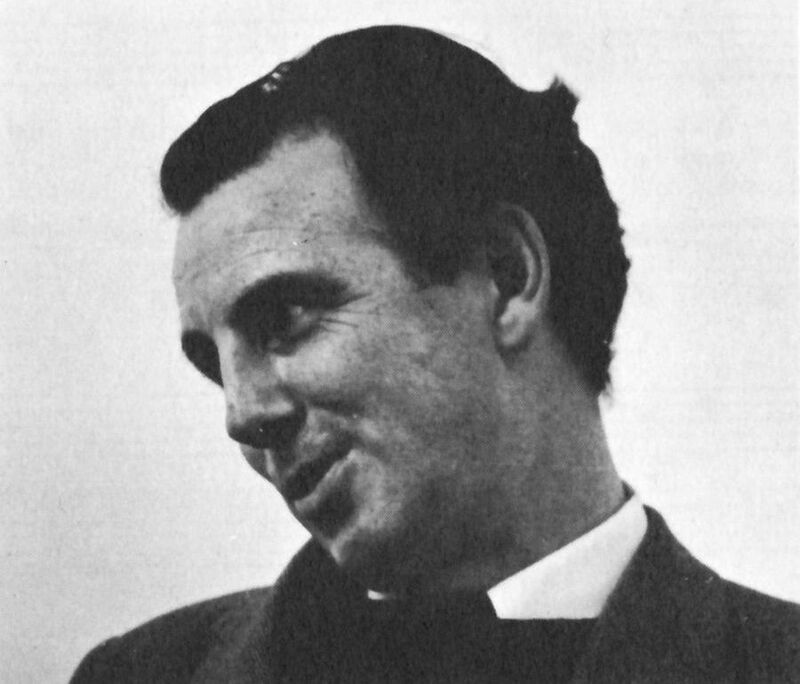 Paddy started the well-respected Tradition Records label with the folklorist Ken Goldstein, devoted primarily to issuing the work of the great Irish traditionalists, such as Padraig O'Keefe, Tommy Makem's mother Sarah, Denis Murphy, the great Fermanagh stylist (and IRA activist) Paddy Tunney, and Sean MacDonnchadha. The company's sixth album, a collection of rebel ballads featuring Paddy's brothers with Makem, recorded on a domestic tape machine in Goldstein's apartment in the Bronx, was a break from the intricate subtleties of singers such as Tunney, who sang unaccompanied, with elaborate decorations like a vocal equivalent of the Book of Kells. But The Rising of the Moon, and its follow-up collection of drinking songs, Come Fill Your Glass With Us (both in the late 1950s), brought them to the attention of Columbia Records, already with an unexpected hit on their hands in the shape of Bob Dylan, and the group graduated to playing in night spots like the Blue Angel in New York. It was there that the television presenter Ed Sullivan spotted and hired them for a support spot on his programme. When the main act failed to show, they had to improvise an extra 10 minutes, and the 20-minute exposure to 50 million viewers consolidated their cross-over success outside the confines of the folk scene. After building up a huge international following, through which they changed at least the popular image of Irish folk music, laying the ground for the punk folk of groups like the Pogues (though the roots tradition continued on its own sweet way, as it has for centuries), they disbanded in 1966. Paddy returned to his native village to become an innovative dairy farmer, Liam and Tom returned to acting, and Tommy Makem worked as a solo artist. The group had a reunion in 1984, and got together for occasional tours, the last concert of which was at the National Concert Hall in Dublin in 1996. Tom had died in 1990, from cancer. Their last album, Older But No Wiser, for Vanguard in the 1990s, was billed as the Clancy Brothers and Robbie O'Connell, and featured an entirely new collection of songs, apart from Dylan's "Ship". Though Paddy had been ill for some time, as recently as February this year he was running a "pub tour of Ireland", when for $979 per person, including transatlantic airfare, US visitors were taken on a musical drinking tour of the country, concluding with a visit to his farm for a parting glass, though not necessarily of his excellent milk. It was there he took his own parting glass, dying in the village where he had been born. Patrick Clancy, singer: born Carrick-on-Suir, Co Waterford 1922; twice married (three daughters, two sons); died Carrick-on-Suir, Co Waterford 11 November 1998.